If you're hankering for something sugary sweet at Halloween, grab a 4" Candy Corn Cookie Cutter. 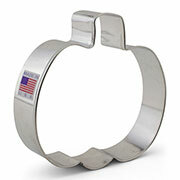 This is one cookie cutter that won't send you directly to the dentist! This traditional Fall shape is a timeless addition to any seasonal collection. I have dealt with this company a few times and know that I will find what I want and of a great quality. 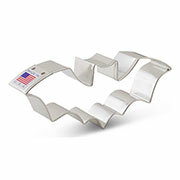 Would recommend them to everyone I know who needs good cookie cutters! I really liked this cutter. Used it for candy corn, pumpkin pie, and watermelon slice. Perfect! I have ordered several times. And I haven't been disappointed yet. 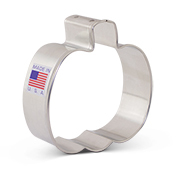 The cutters are good quality metal and a bonus being made in the states. The shipping has been in a very timely manner. Love all my cutters from Ann Clark I will continue to use and buy from. very pleased,very prompt service.good price, good merchandise.